Through the 2018 Art Inspires scholarship, StriveTogether recognized five student artists for outstanding artwork reflecting StriveTogether’s vision and core values, including educational equity. The scholarship winners will receive a $1,000 college scholarship and have their work displayed at StriveTogether’s Cincinnati headquarters. Each of the five students will be highlighted on our blog. Student artist Shani Salinas’ artistic journey exemplifies one of StriveTogether’s core values: community. At the invitation of a teacher, Shani joined her high school’s art club, where she came up with a plan to design a memorial representing the past, present and future of the city. Shani’s scholarship-winning art piece was inspired by the StriveTogether vision of working toward a better future for individuals and communities. 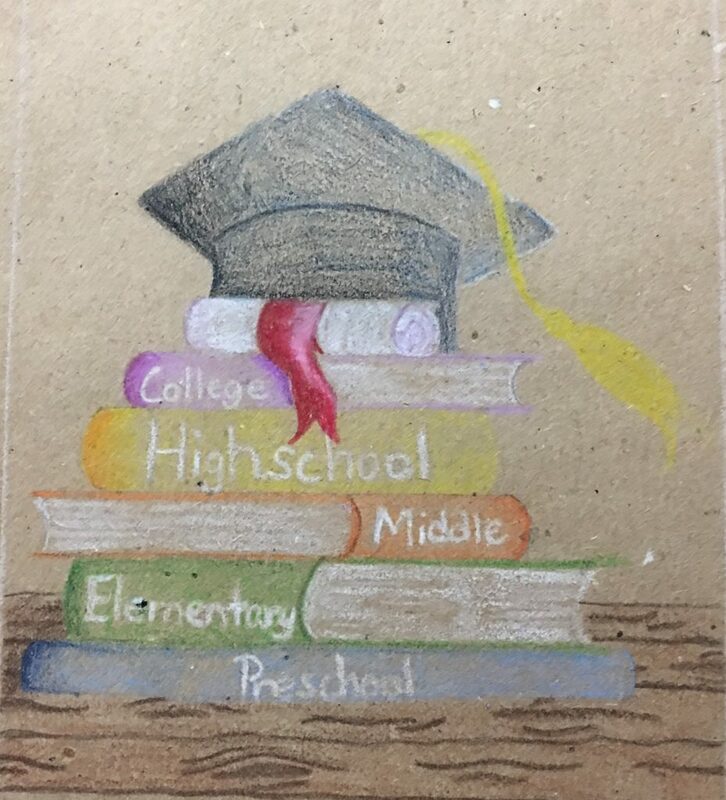 In her drawing, a stack of books shows how each stage of school builds upon the last, leading to the goal of college graduation. 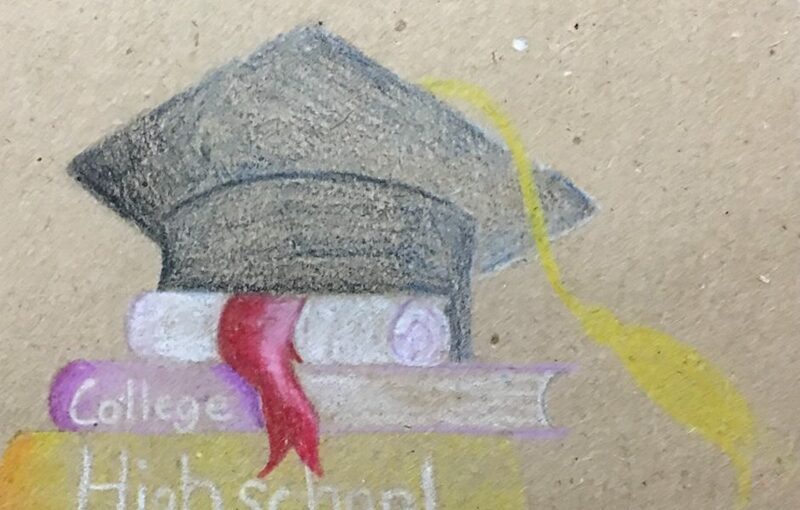 Shani’s own future includes postsecondary plans. Shani, a recent graduate of Washington Park High School, will attend Gateway Technical College in Kenosha, Wis. 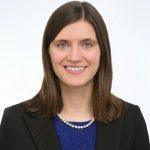 In Shani’s home community of Racine County, Wis., Cradle to Career Network member Higher Expectations for Racine County works to ensure the success of every student. For Shani, success looks like a career that impacts others. “My future goal in going to college is to help further my study in art and help inspire people to be creative. I want to help people of any age express how they feel or how they view things through art,” Shani shares.